Hi, today I will tell you the CD which I had bought for the first time. 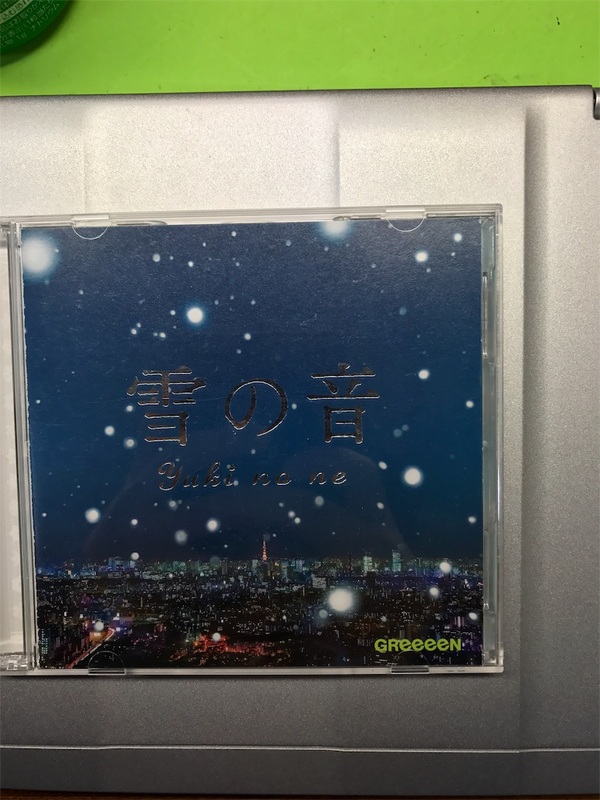 It is "yuki no ne" mean Sound of Snow sung by GReeeeN. In the begining, tell you about GReeeeN. What is GReeeeN? GReeeeN is a Japanese pop rock/hip hop/breakbeat vocal group from Kōriyama in Fukushima Prefecture, comprising the all-male four members HIDE, navi, Kuni (written as "92"), and SOH. They made their debut with Universal Music in 2007. Their logo image is of a mouthful of teeth, and the four Es indicate the number of members. The sound production is handled by Hide's older brother JIN, a former guitarist of Pay money To my Pain. According to their website at Universal Music Japan, their catch phrase is "Rock 'n' Breakbeats with Four Microphones".